The switch-hitting Wilson had a solid junior season in the spring. In 42 games, he batted .386 with 54 hits, 35 runs scored, 35 runs batted in, 15 doubles, three triples, eight home runs and 14 stolen bases, helping Hoover advance to the Class 7A playoffs. He was selected to the All-OTMJ baseball team. Journal photo by Mark Almond. Peyton Wilson hasn’t changed his mind about football. Even though the defending Class 7A champion Hoover Bucs have an opening at quarterback this year, and even though both of his brothers are former state championship Hoover quarterbacks, Peyton Wilson has no plans to play the sport again. He made the decision to walk away last summer, and a year later he has no desire to return for his senior season. His brothers, John Parker and Ross, had no qualms about him giving up football. “Both of my brothers supported me the whole time and told me to do what I wanted to do,” Wilson said. This summer Wilson, a second baseman/catcher, has been spending plenty of time on the diamond, playing travel ball for the East Coast Sox Select, based out of Columbus, Mississippi. He spent the Fourth of July week in Atlanta playing in the Perfect Game WWBA National Championship tournament. This week, Wilson will be in Montgomery to play in the North-South All-Star baseball doubleheader during the 22th annual Alabama High School Athletic Association Summer Conference and Alabama High School Athletic Directors & Coaches Association All-Star Games competition July 17-19. The North-South doubleheader will be July 17 at Riverwalk Stadium with the first game set for 4 p.m. The second game will follow 30 minutes after its conclusion, at approximately 6:30 p.m. The AHSADCA All-Star Games also include in-state games in softball, boys and girls soccer, boys and girls basketball, volleyball, boys and girls cross-country and football. The 59th North-South All-Star football game will close out the all-star competition on July 19 at Cramton Bowl. The switch-hitting Wilson had a solid junior season in the spring. 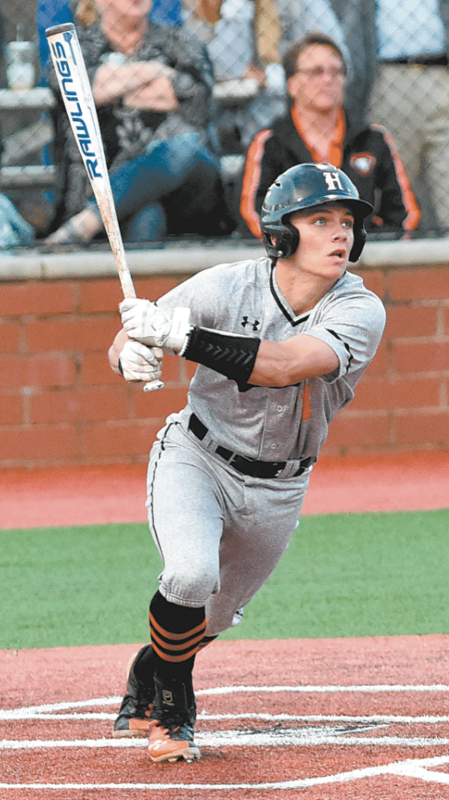 In 42 games, he batted .386 with 54 hits, 35 runs scored, 35 runs batted in, 15 doubles, three triples, eight home runs and 14 stolen bases, helping Hoover advance to the Class 7A playoffs. He was selected to the All-OTMJ baseball team. As a sophomore, Wilson batted .308 with two home runs and 17 RBI, helping Hoover win the Class 7A title. The Bucs were denied a chance to repeat this season, losing in three games to Hewitt-Trussville in the first round and finishing 35-10. Throughout his career, Wilson has soaked up knowledge from his brothers. Both are married with families and live and work in the Birmingham area. John Parker is a financial adviser with Morgan Stanley and lives in Mountain Brook. Ross is president of No. 3 Real Estate and lives in Vestavia Hills. Wilson will follow in his brothers’ footsteps and attend the University of Alabama, where John Parker was a quarterback and Ross was a baseball player. Wilson also is looking forward to his senior year at Hoover and wants to continue to develop his game.